This post is sponsored by ChromaDex, but all opinions remain my own. 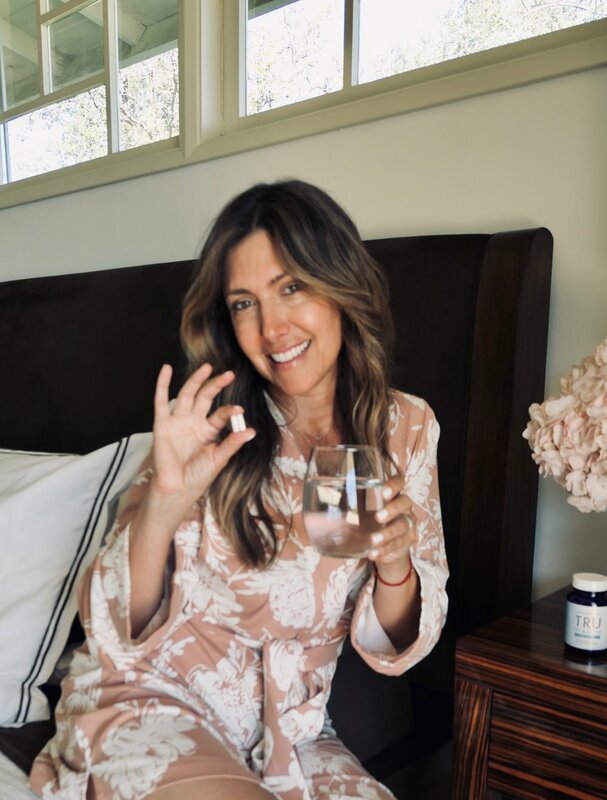 I was thrilled when TRU NIAGEN® asked me to be a part of their celebration for National Women’s History Month—I have been taking Tru Niagen daily for approximately three months now and I am excited to share the benefits and tell you all about how energetic I’ve been feeling lately! In honor of this special month, I also want to share with you what I would have told my 25-year old self about aging, and provide you with certain tips I learned along the way. Flash back to 1990 in New York City. I worked 10-12 hour days at an investment bank for 10 years, spanning my entire 20’s and never got much sleep. I ordered lunch (and dinners) to my desk, and there was a lot of junk food around at all times. Between my hectic schedule and lots of business travel, there was not much time for regular exercise. This was not exactly a recipe for continued good health. I am happy to say that over the years I have made some commitments that have positively impacted my overall physical and mental wellness. First, I decided to leave Wall Street to follow my passion and became a lifestyle journalist after having my daughter Rachel (Yay!). Then, I started an online magazine as Editor in Chief of PageDaily covering fashion, beauty, health, fitness and celebrity in addition to a monthly segment on Weekend TODAY in New York. After two decades of living in NYC, the city felt a bit too intense for all of us so we moved across the country to LA. As the years have gone by I came to appreciate even more the importance of taking care of myself from the inside out, therefore, I created a blog, The Glow Girl! I am aware about the importance of eating well, getting enough sleep and regular exercise as these all have positive effects on healthspan (the time you live in good health)! I am currently 54 (I like to call it 50-more) and each year that goes by, I realize how crucial is it to take good care of your body and your mind. So, after taking my Tru Niagen daily supplements I am feeling a big increase in my energy levels. I try to be active and do some form of exercise daily to include, spin class, pilates. yoga and tennis! This is typically followed by a full day of meetings, events and nights out in LA. I need a lot of energy to start my day early and that energy has to last throughout the day including several late nights each week. I believe that Tru Niagen helps me to keep up this pace, feel energetic, and remain super active. 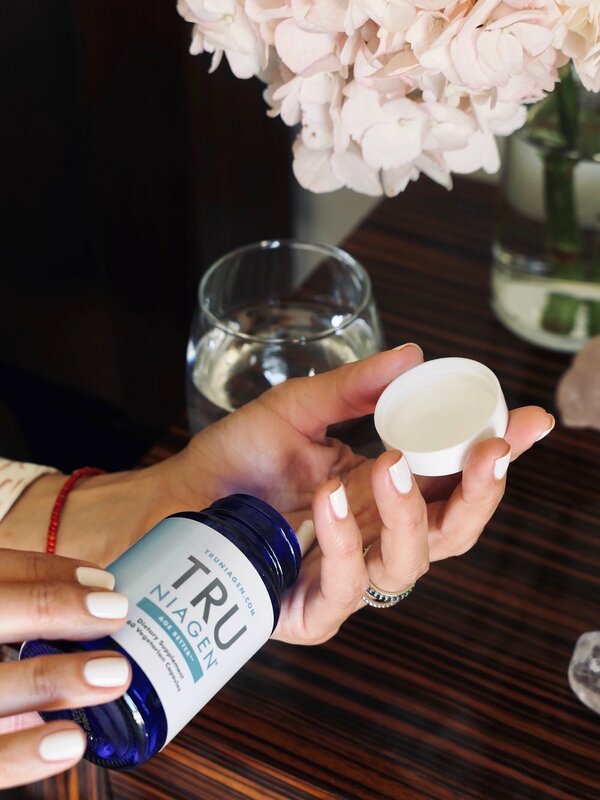 Tru Niagen is a breakthrough vitamin supplement clinically proven to safely increase the levels of an essential molecule in our bodies called NAD. As we grow older, everyday things like drinking alcohol and overeating, and not getting enough exercise can decrease our NAD levels. Tru Niagen helps combat the effects of aging at the cellular level by replenishing NAD. This increase supports our cells’ natural ability to generate the energy the body needs to function at its best. From my yoga and spin classes to my simple daily routine, I feel more energetic and ready to take on the day! I take two pills each morning to start the day! These small capsules have a unique form of vitamin B3 (known as nicotinamide riboside, or NR for short) that increases cells’ ability to make energy. NAD is an essential piece of our body’s natural energy-producing systems. We lose up to 50% of our NAD levels between the ages of 40 and 60 so taking Tru Niagen will help increase these levels, even as we age. I created my lifestyle blog The Glow Girl especially for women over 40, as this is a time of real change for most of us. It’s important to pay attention to your body and be aware of the changes as you grow older so you can do your best to age gracefully and maximize feeling good from the inside out! I will continue taking Tru Niagen because I notice a big difference in my energy levels over the past three months. Try Tru Niagen today and save using my code MM15 by 4/8/19 to save $15 on 3 or more bottles!